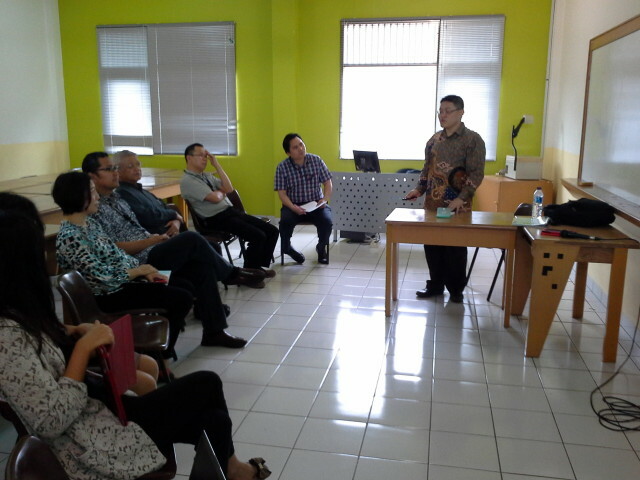 The Department of International Relations of Binus University once again held the Kijang Initiatives Forum on June 5 2014. In this forum, Dr. Guido Benny, a post-doctoral fellow at the Institute for Malaysian and International Studies (IKMAS), National University of Malaysia, UKM, presented a paper entitled “Nationalist Sentiments, Expected National Benefits, and Support for ASEAN Community: An Empirical Test of Sociotropic Utilitarian and National Identity Models”. This paper investigated the determinants of public support from national identity and sociotropic utilitarian theories by examining the effects of nationalist sentiments and expected sociotropic benefits on the support for proposed regional economic integration in the Southeast Asia. 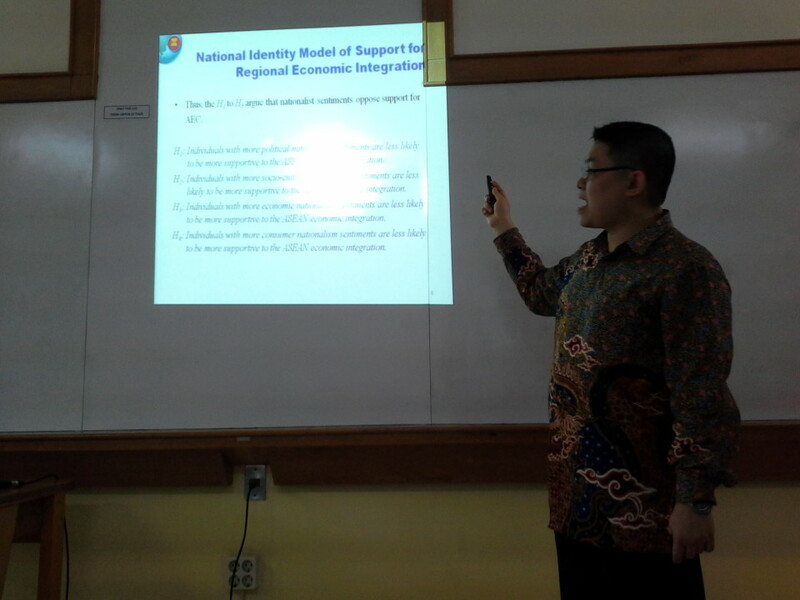 Based on a survey conducted in eleven cities in Indonesia, Malaysia and Singapore, Dr Benny argued that the perception of sociotropic benefits played a stronger role than nationalism sentiments in influencing support. However, his research finding also shows that economic nationalism sentiment still exert its effect in influencing the support.